Océano Patagonia - Wild Coast Residences It is a Boutique Hotel located on the beach of Puerto Pirámides, the only town in Península Valdés and considered as the best place in the world for whale watching. Just a few metres away from the sea and over the sand, Océano Patagonia is in a tranquil bay inhabited by the Southern Right Whale, elephant seals, orcas and many more species. A place so special, that has been declared a World Heritage by UNESCO. 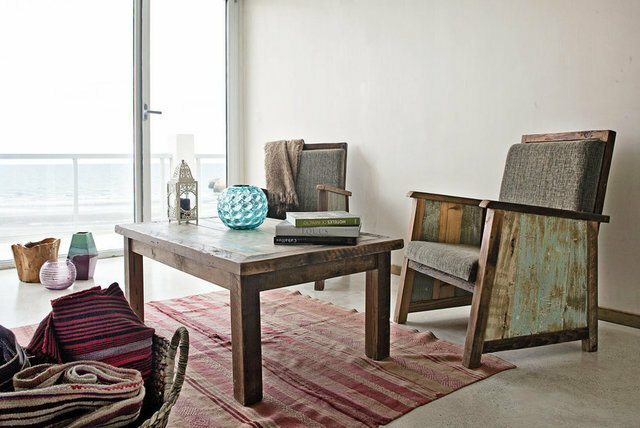 Océano Patagonia - Wild Coast Residences counts with 8 apartments with a sophisticated decoration. In the last floor there is a penthouse of 90 m2, with access to a private terrace from the balcony. Each residence has panoramic views of the Atlantic Ocean. Spying a group of whales swimming in the turquoise water of the way directly from your yard is a unique experience. Océano Patagonia - Wild Residences was registered within LEED regulation (Leadership in Energy and Environmental Design), which assures the sustainability of a building. It is equipped with geothermal energy, greywater circuits, LED technology lightning, reused wood, underground parking lots and fully furnished. It’s a unique product due to its location, the sustainable edification and the outdoor activities. Hundreds of kilometres of coast offer you closeness to wildlife, beaches of crystal-clear waters, beautiful sunsets and a variety of semi-desert lands, for those who prefer to experiment this oasis on foot. - Guía Chubut Innova 2017: Most Innovating Project in it's category - Eco Hotel 2017. -Second place in "República Argentina's Responsible Hotel 2017". - TripAdvisor selected Océano Patagonia as a Green Leader Platinum, which is the highest category.